Brabantiae ducatus S.R. Imperii Marchionatus Mechliniae dominii nova tabula in quatuor tetrachias generales Antverpiensis, Bruxellensis, Lovaniensis et Silvae Ducis et partes monores accurate divisa et edita per I. Covens & C. Mortier. 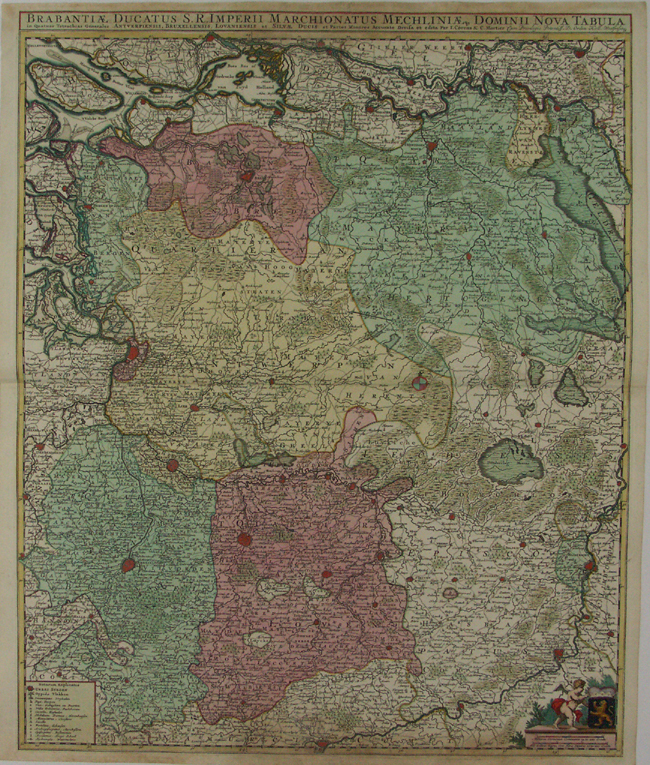 Frederick de Wit [1629-1706 was known as a map publisher, engraver and seller. He worked in Amsterdam from the Kalverstraat (‘bij den Dam inde dry Crabben) to 1654 and then from ‘in de Witte paskaert from 1655 to 1706. He produced a prodigious amount of cartographic material including separate terrestrial maps and sea charts, sea and terrestrial atlases, wall maps, and town views. Many of his maps were superbly colored by master Dutch colourists of his day such as Dirck van Santen. 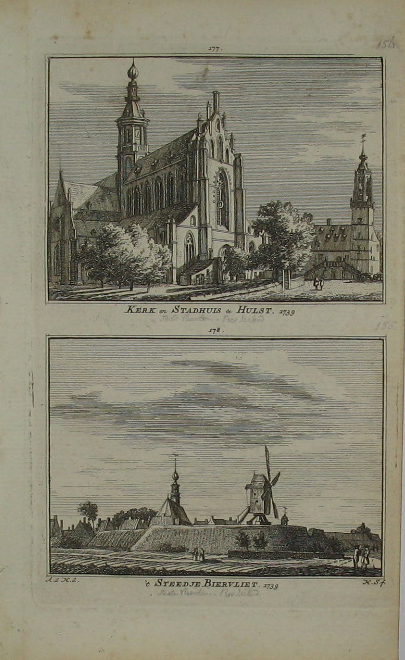 De Wit also acquired numerous copperplates from those auctioned by the Blaeu and Janssonius publishing houses sometime after 1674 and republished these works, often with his imprint added. On his death in 1706, The business was continued for a time by his widow Maria untill 1709. In 1710, the De Wit plates were sold to Mortier, Van der Aa, and Renard. Verso blank.